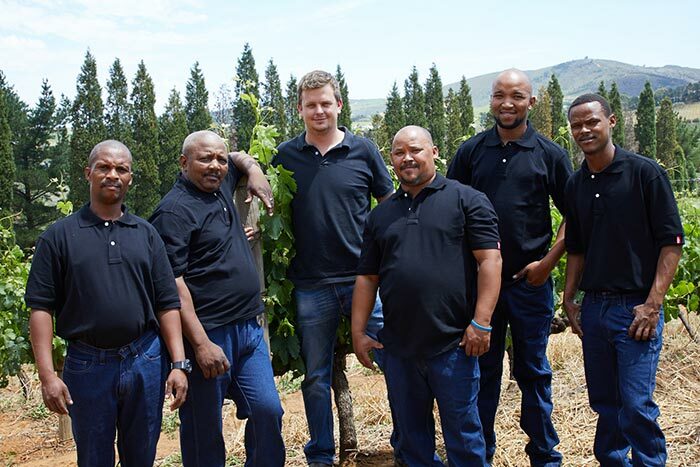 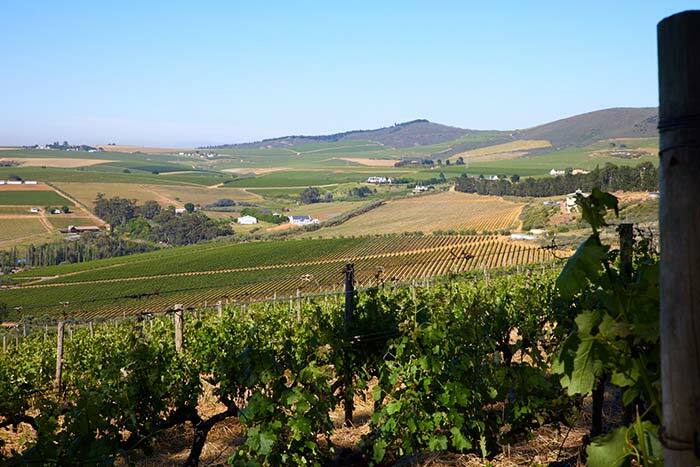 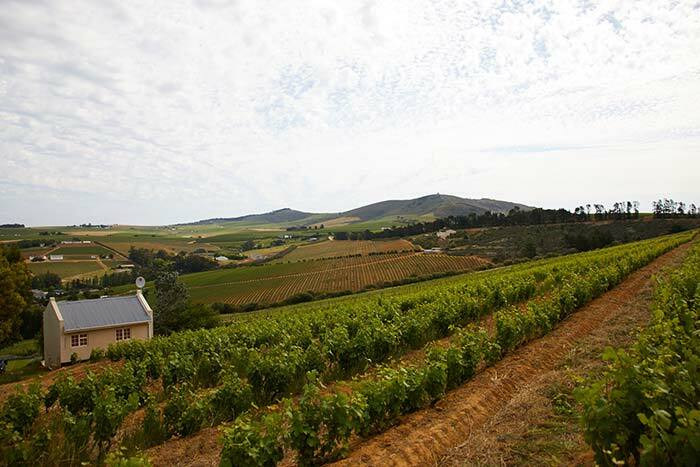 The farm lies on the slopes of Devon Valley’s northern ridge and rises from 200m to 310m above sea level. 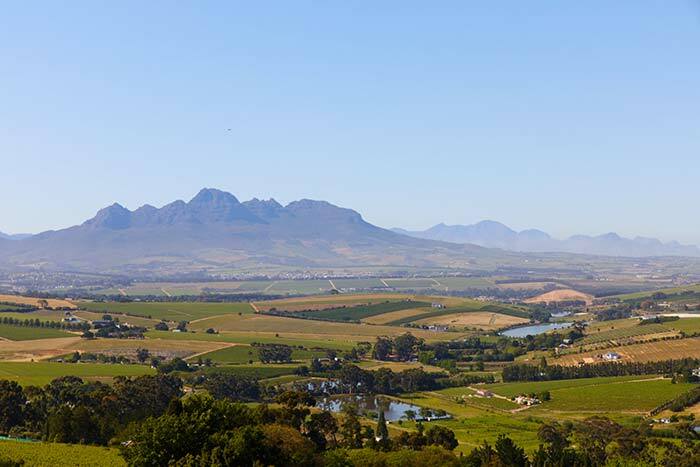 The whole site has a southerly aspect with grand views of False Bay and the mountains surrounding Stellenbosch. 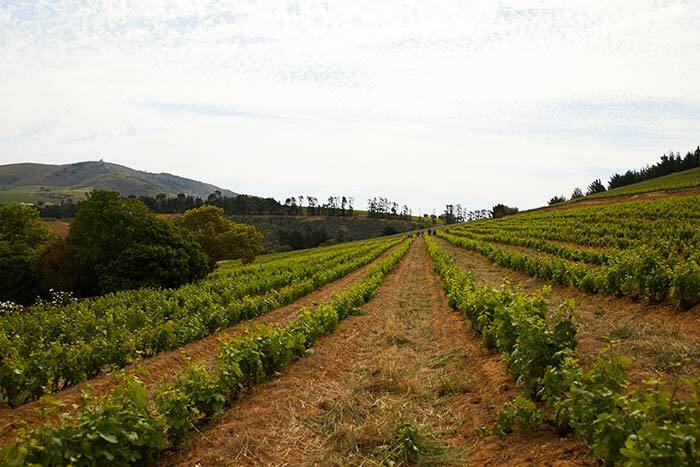 The winery was built in 1990 with commercial production beginning with the 1997 vintage. 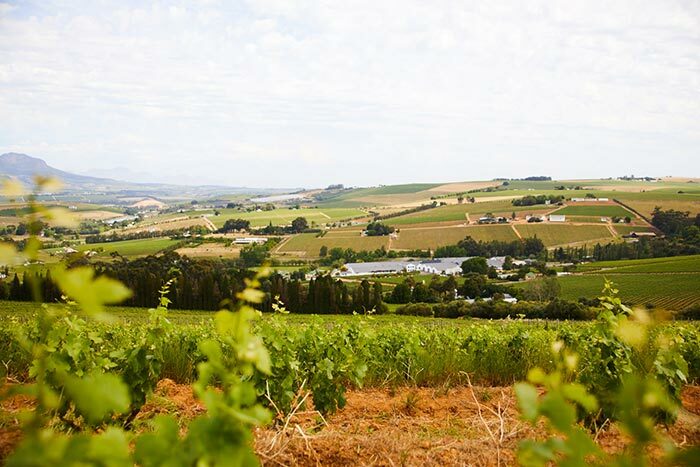 The distinctive Meinert labels have their origin in the colours of the Devon Crest Vineyard with its red-brown soils and dark green vine leaves. 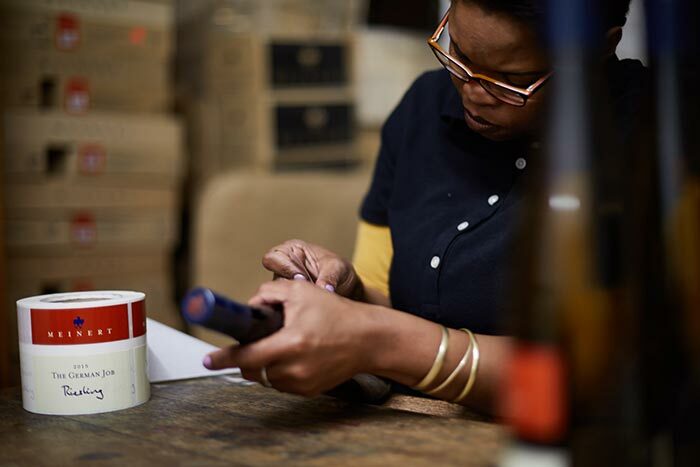 The crest shows the two-headed eagle (originally used by the Holy Roman Empire) holding a printer’s stick in one claw and an ink roller in the other. 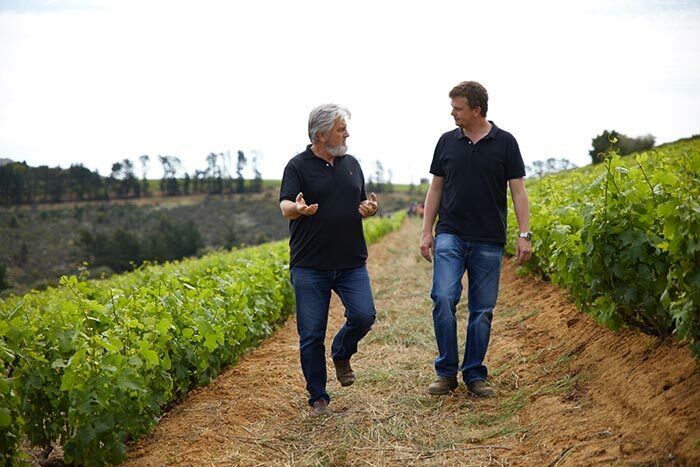 In the beautiful valleys of the Western Cape, South Africa, two of the country’s Master Wine makers get together to bring us masterful boutique wines. 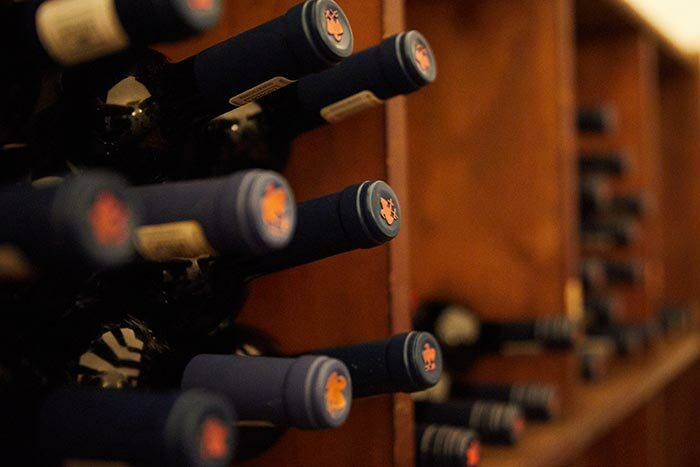 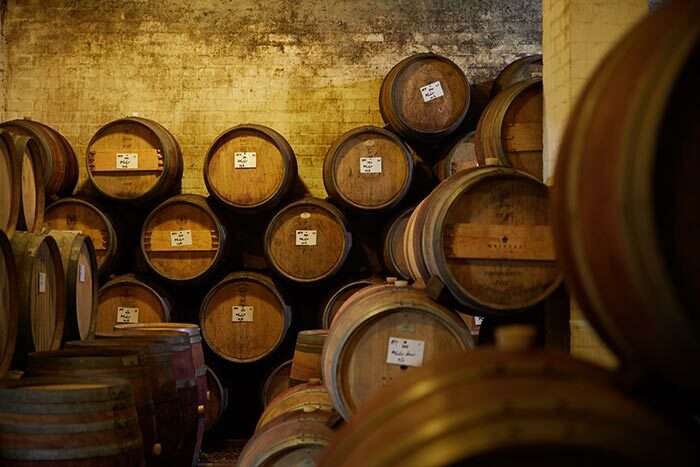 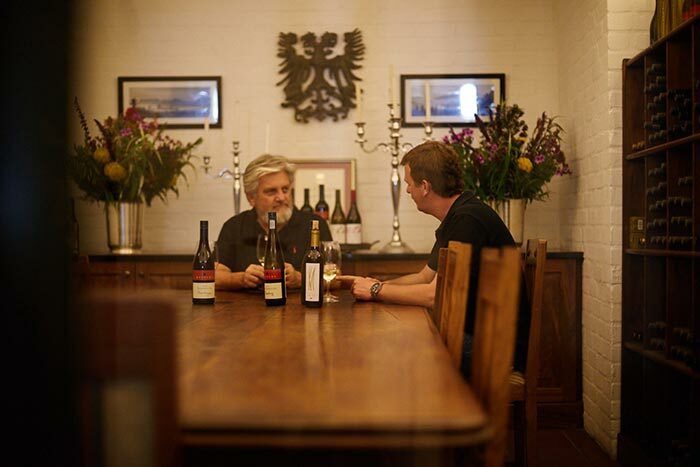 With a collective 45 years of travel, studies and experience, the winemakers at Meinert are set to delight as they add to their already impressive vintages.